The term “wellness” has become one of the most widely used, and honestly rather vague, terms thrown around in our world today. Most people use the word “wellness” to mean “health” while others just use it as a buzzword to garner some type of attention. 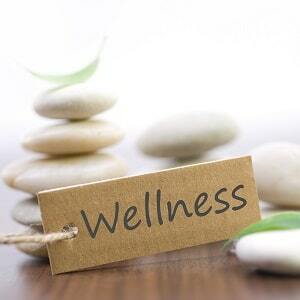 The truth of the matter wellness is an extremely important and often misunderstood term. If you know what wellness truly is and understand its importance than you are armed with all of the information that you need to protect and safeguard your wellness so you can live the healthiest life possible. According to the American Chiropractic Association (ACA), wellness is defined as “an active process that promotes health and enhances quality of life.” In 1961, Dr. Halbert Dumn wrote a booklet called “High Level Wellness” where he defined the term as a lifestyle approach enacted to help individuals pursue elevated states of physical and psychological well-being. So how do you maintain a high level of wellness? The solution is to focus on your whole body, mind and spirit, not to just rid your body from disease. The good news is, there are a few ways that you can do care for yourself and focus on the importance of wellness in your life. Chiropractors are the health care professionals that actually pioneered the wellness movement, so if you are looking to improve your overall wellness, these are the individuals that you need to see. This is because chiropractors were the first to discover that the body has the ability to heal itself, if you simply give the body what it needs to function at its highest possible level. Eating right can be a challenge, no matter how much you want to take care of yourself. The main thing to remember when it comes to eating right is balance, avoiding processed foods as much as possible (yes, even if they say “low fat) and finding a nutritional approach that you can maintain over a lifetime. We never like to use the word “diet” when talking about nutrition, as this indicates that you are making a temporary change in your eating habits. Your eating habits should be long-lasting and something you can maintain year after year. Exercise is another big component of staying well. Proper exercise does not mean that you need to be running marathons or weight lifting every day, it simply means that you give your body the chance to move around, that you get your heart rate going and that you give your muscles the challenges they need to stay their healthiest. Simply walking 30 minutes a day can do so much good for your body. You just need to be willing to make the effort. Finally, there is routine chiropractic care. Regular chiropractic adjustments can help improve the function of your spine and nervous system. Many people do not realize the big impact that chiropractic care has on your nervous system. By taking care of subluxations that impact your nervous system’s ability to function, you are making sure that the right signals are traveling through your nervous system to the nerves, through the muscles and organs. This is the best way to make sure that everything in your body is working the way it is supposed to and that all of the components that make up your body are getting the proper messages from your brain, through your spinal cord. With the right changes to your routine and overall health, you can start independently maintain your own ideal level of wellness and continue to live the happy, healthy life you deserve.